Finally, an update Instagram users actually want. After our previous post concerning Instagram's potential new layout causing nothing more than a sh*tstorm on Twitter amongst grid-perfectionists, it seems that there is some good news surrounding the app. Instagram is trialling the 'Follows you' feature on Android devices - one that's been wanted for a while after being popular on Twitter profiles. 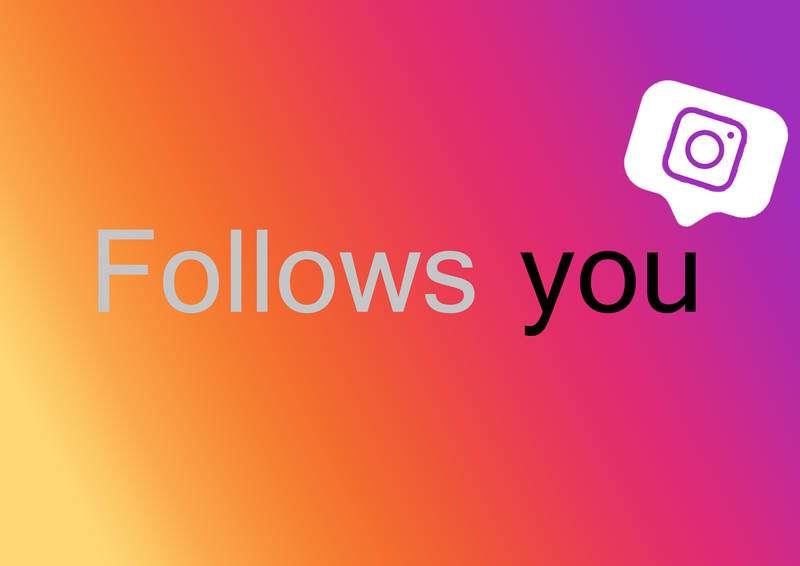 While it may not seem so significant, being able to see who follows you (and most importantly follows you back) is something a lot of users want. It's great for when you want to nosey at whether someone's following you back and want to even out that Follower-to-Following ratio. You could unfollow those friends-of-friends, acquaintances or companies who unfollowed you as soon as you politely followed them back in the first place - that sort of thing. The feature is an easy alternative to downloading those 'Who Unfollowed Me?' apps, which ask for £1.29 to actually unlock the 'who's unfollowed me' feature once you've downloaded it for free...deceiving. So, now we can all save our £1.29's and find out who's snaking us on the Insta-follow-back game easily - win-win eh? As mentioned, the feature is being trialled on Android devices only at the moment, appearing in user's bios under the 'Followed by' section but due to it's apparent popularity, it's likely iOS users will want it too. This Instagram update is a goodun; now all we need is our chronological feeds back.